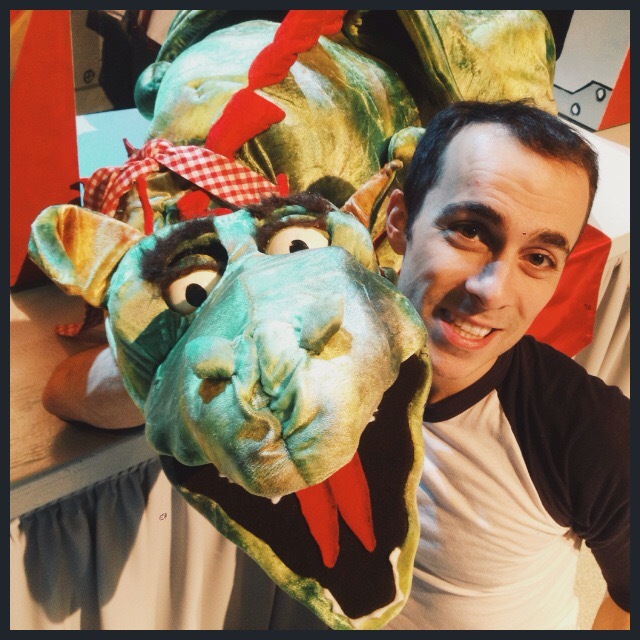 I’m having an absolute blast being part of Munsch Upon a Time at Prairie Theatre Exchange, this season’s play for young audiences based on stories by Robert Munsch with adaptation by Debbie Patterson. This is my first engagement with PTE and I am amazed at the incredible team effort that has gone into making this production a success. I’m so happy to be working under the creative guidance and directorial genius of Sharon Bajer as well as the talented stage management team that consists of just one fantastically organized gal, Melissa Novecosky; not to mention the entire production and administrative staff at the theatre. Wow! We open this Friday, 19 December but have been rehearsing for the last two weeks. I think we’re going to be so ready to go by Friday evening, especially after our dress rehearsal performance tomorrow evening when we present the show to an audience of fifty kindergarden youngsters. Anything can, and likely will, happen! I’m lucky to be working with a couple great actors on this neat three-hander. Darren Martens and Andrea Houssin are two incredibly talented, hardworking, local actors. Together we get to bring to life some of Robert Munsch’s most well-known tales! Here’s a snap from one of our rehearsal days at PTE. More shots like this, and other information about Prairie Theatre Exchange, can be found on their Facebook page (click here). Munsch Upon a Time includes many famous stories by Robert Munsch, including Give Me Back My Dad, The Fire Station, and The Paper Bag Princess to name only a few. Darren and Andrea are great, but I there is one other member of our cast who is a little extra special. Actually, he’s a bit of a celebrity and we’re having a great time bonding and getting close – very close! Here’s a photo of us together on our break from rehearsal. If you want to see this dragon fly then get your tickets to this show now! Check out the Prairie Theatre Exchange website (click here) and purchase your tickets – the word on the street is that there aren’t too many tickets left. You’d better act fast!